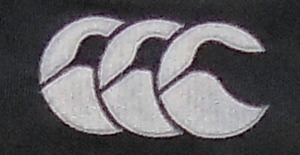 2009 would see the return of Canterbury of NZ (CCC) as the clubs official suppliers. With CCC on board and the home and away 3 year time lock for the last Puma design finished the team would run out in new jerseys. Still retained the predominately black jersey but switched the grey for white. 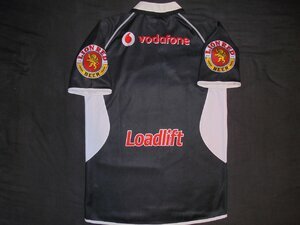 Vodafone, Lion Red and Loadlift were still the jersey sponsors. OFFICIAL REPLICA - Sold well being a new design. 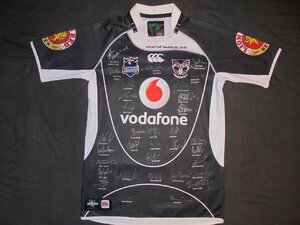 Only thing to look for if you are after this jersey is the Lion Red Beer sleeve sponsor. After this year the sleeve would read Lion Red League. Doesnt sell very well with most already owning this design and the collar area suffering damage after too many washes. Also for some reason the laminated makers tag can start melting and become a sticky tacky mess that can ruin jerseys. Almost like a tar substance. 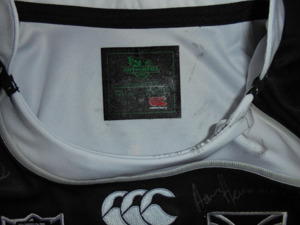 As you can see from the picture below it gets on the white parts and is impossible to get out without fading the signatures. I have emailed CCC about this but have no reply. 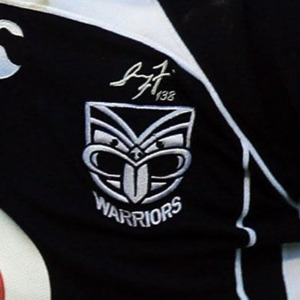 PLAYERS JERSEY - After the sad passing of Sonny Fai at Bethells Beach during the off-season the Warriors decided to honour him by having his signature and player number #138 embroidered above the Warriors logo. Only players jerseys bore this.